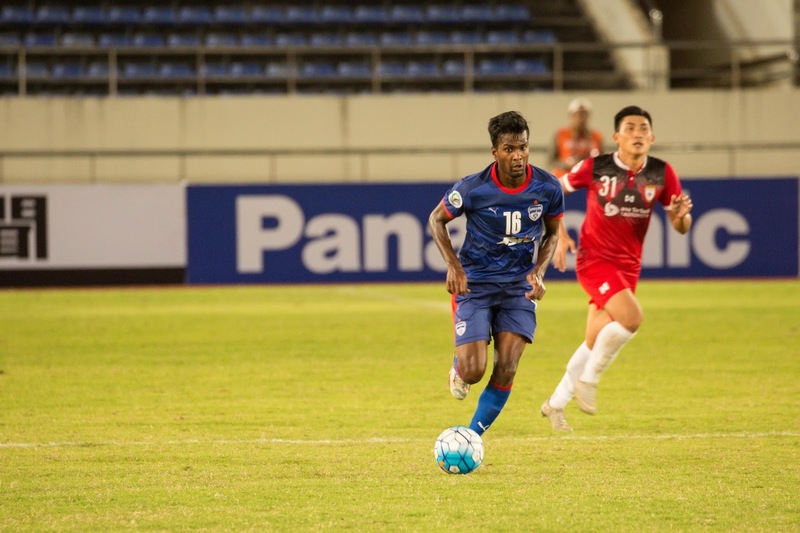 A late Bengaluru FC charge wasn't enough as Ashley Westwood's side went down 2-1 to Lao Toyota FC in their Group H opener of the AFC Cup, in Vientiane, on Wednesday. Bengaluru found themselves a goal down in as early as the third minute through Kazuo Homma and a Phatthana Syvilay free-kick in the 35th minute made it 2-0 before half-time. The second half sending off of defender Moukda Souksavath turned the tide towards Bengaluru, who pulled one back in the 91st minute through CK Vineeth but it was too little too late for the Blues who should have done better in the box. Earlier, Westwood, missing skipper Sunil Chhetri with an injury, started with Kim Song Yong, CK Vineeth and Beikhokhei Beingaichho in attack. But before the Blues could settle down and string together a rhythm, Lao Toyota capitalised on a defensive lapse to grab the lead. Squirming out of the box from a muddle, Curtis Osano had the ball stolen from his feet by Itsuki Yamada who slid in the experienced Homma through and the seasoned Japanese striker obliged with the simplest of finishes. The red card in the 65th minute gave Bengaluru time to capitalise on the man advantage and Westwood soon introduced striker Daniel Lalhlimpuia who played his first game for Bengaluru, in the 70th minute. The last twenty minutes was all Bengaluru FC where Kim, Collins and Udanta, all had chances that they should have put away. The goal did come when Vineeth, slid in down the left, lost his man and shot past Vathana in the first minute of additional time. With four minutes of additional time to play for, Lalchhuanmawia had a flash at goal only to see it clip the shoulder of the post and fly out. A free-kick was the final throw of the dice for Bengaluru but the equaliser just wasn't meant to be.